I came across The Foreign Service Institute's Language Course site the other day. Initially, I was really excited. It is a huge resource of language courses and materials in a ton of different languages. For free! Wonderful, right? Well, after perusing the site for a little while, I was less excited—but there is also good news. The site itself is pretty bare-bones, which for me, is a plus. There are no complications and no dorky photos. Everything is relatively easy to find. You click on the language you want to learn, and then you are brought to the options. Many languages have several different courses. It looks like this site is trying to convert some of the old material into web-friendly content, as well. Each course has a PDF student workbook that you can download, and there are lots of audio clips that you can listen to that go along with the book. 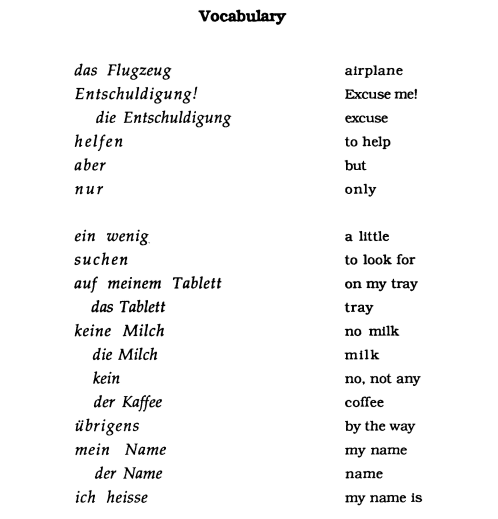 Unfortunately, the material comes from a pre-communicative era of Language Teaching, where the main focus was on dialog repetition and drills (and since I wrote against dialog repetition and drills in my Master's Thesis, naturally, I can't support them now!). However, despite the old-fashioned methodology base and the inauthentic language, this website is still a valuable resource for language learners AND language teachers. First, the positives: My favorite thing about this site is that it contains a HUGE amount of language learning resources (for a wide variety of languages) that are completely free because they are in the public domain. There is a lot of material that could be used to build vocabulary and to develop listening skills. Also, even though the audio-lingual, drill-and-kill methodology is old and has been shown to have many flaws, it once helped people learn languages. It can't be all bad, I guess. 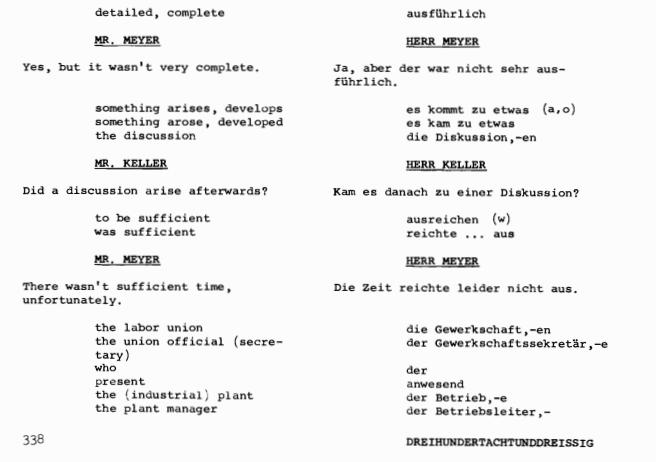 Next, the negatives: Since the material was developed pre-1980s, the vocabulary used and topics covered are pretty old. Pair that with the outdated methodology, and site starts looking like a 1950's grammar. Also, as I mentioned before, the dialogs don't represent authentic language use. Beyond all of these, however, my LEAST favorite thing about this site is that there is no English learning section (which is natural, since all the materials were developed by the US Government to help English speakers learn other languages). Take advantage of the vocabulary practice. There are tons of new words that you could learn. 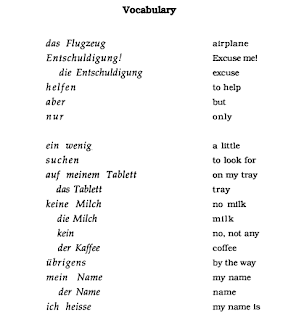 It would also be helpful to read/listen to the dialogs for comprehension and language exposure. However, when you are doing this, realize that this language is NOT representative of cultural norms or real conversation. If you are learning English, you can the students book for a reverse vocab list if you use the material that teachers your native language. There are 2 major benefits of this site: the vocab building and the accent training possibilities. For Vocabulary, there is no lack of possibilities. In English courses where the students have the same native language, you can use the chapters for the reverse vocab lists I talked about in the student section. 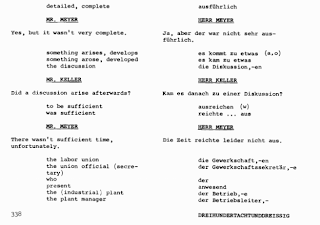 Also, it is pretty easy to take the vocabulary lists and create your own good content around the material. For accent training, focused listening activities, where you point out differences between student pronunciation and the speaker pronunciation, could help with accent problems. You could assign certain listening and speaking practices to individual students or to the whole class. Other ideas for using this site as a teacher include keeping the syllabus (grammar items, vocabulary) and redesigning the activities to be more authentic. Also, you use the inauthentic dialogues to point out differences in real conversation and to work with the students to create natural, authentic-sounding dialogs. In conclusion, if you are eager to learn or willing to work, there is useful stuff on this site. Does anyone have an experience using this site or other ideas to modify it for the classroom? The link has disappeared. I had been using it for a few weeks, and since Feb. 14, it's gone. Anyone else have this problem? Hmm, I can't seem to find it either...If you find it again, let me know! Yeah, I was concerned about this too. However, I recently found a significant portion of the FSI language courses via Internet Archive/Wayback Machine. Just Google "Internet Archive" and "FSI language." Good luck you guys! Yes I traded in Ghana and used the TWI course to good affect. As far as I can tell it is all there and it is still free. I hope this helps. Besides reading books, its far better to study and learn language online on thecoursehouse.com . You will get the basic insights of culture of language you want to learn, thus it may help you to entangle in the environment. Nice blog, thanks for sharing your quality content.